A company can have many valuable assets – cash, buildings, patents, tangible and intangible property. However, the most important driving force of every company is its employees. This is the reason why, in order for it to be able to do business at its full potential, every company must take good care of its workers’ health. Business owners worldwide count corporate wellness programs among the most important initiatives in their companies. So, what is workplace wellness? The term itself sounds too corporate – it somehow doesn’t fully reflect the human aspect behind it. And wellness stands for everything that makes people feel good, both physically and mentally. A worker who feels good at their workplace is a worker who gives their best. A company full of workers who feel good about themselves in the workplace can count on greater productivity and better business results. Research conducted by the American Journal of Health Promotion showed that wellness initiatives result in 26% less sick leave, 26% lower healthcare costs, and 32% decline in workers’ request for disability claims and compensation. This article will list 5 simple ways to start planning wellness programs in your own company. The steps you need to take are, as you will see if you read on, very simple. All you need to do is take them seriously and you will be running a happy and productive company in no time! The first thing to do is conduct a survey in order to establish the facts. If you want to find a way to help your workers, first you need to hear about their problems. Make sure the surveys are anonymous – this way you will get much clearer and honest results. Start with physical wellness questions but also ask how they feel, what stresses them out, what makes them happy or sad. The data you get will help you figure out what needs you need to meet. Get your workplace wellness program started with simple steps. These can include strategies like broadcasting useful information on healthy diet and exercise, or providing healthier options for meals in the cafeteria. Come up with fun and creative ways to promote your wellness program in the workplace and you can expect your employees to start reconsidering their lifestyles. The next thing you know, cigarette breaks will no longer be a thing and your employees just might start living active, healthy lifestyles. Part of wellness includes making your employees feel empowered. In order to be better at their leadership and other skills, a lot of employees go for seminars or classes. Those that can help them be better workers for the company. Unfortunately, they often go for classes that are still work-related thinking that can boost productivity and enhance their employee’s lives. While that surely does one of those things, serious work-related seminars will only remind them of their work. Why don’t you try something different? Something they probably didn’t think they need but is actually very useful. A first aid course, for example, not only takes them out of the cycle of perpetual work, it also gives them important life skills. Why don’t you start by taking care of the environment? Cleanliness and hygiene in the workplace are very important. Make sure to kill off germs that cause illnesses. This not only makes your office a conducive place to work, it also lifts the mood of the employees while keeping them healthy at all times, reducing sick leave and absenteeism. First of all, clean up your washroom. With an investment in our Washroom Services, you get just that. Secondly, odour control. Use this in areas that are the most frequented! Our system can be customised to release subtle fragrances at timed intervals. These two little tweaks combined provide great passive sources of wellness. Lastly, a great thing you can start doing for overall wellness in your workplace is keeping your door open for when your people need to talk to someone. It might take some time to get them comfortable enough to open up completely so be encouraging but not forceful, friendly but still professional, and eventually, you will find them coming in more and more to open up about what frustrates them. Of course, just listening to your employees is not enough. You need to be ready to act on their problems and find solutions which will satisfy them. This is not to say you always need to do whatever a concerned worker would like you to do – make sure you look for the best solution and more often than not this will make everybody happy. Alsco has been providing commercial services to business worldwide, and employee wellness is naturally part of the company’s service portfolio. 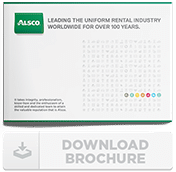 Call Alsco today and talk to experts in this field who will help you find the best way to suit your workers’ needs.